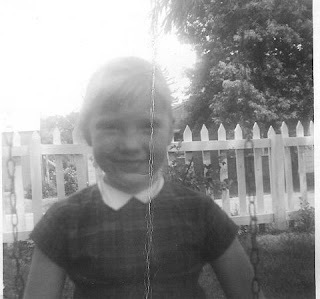 Over at When I Was Just a Kid blog, I've interviewed a young mother, Lori Scott, who has written a series of books for ages 4-8 about a little girl named Meghan Rose. Until Saturday, Dec. 1st, you can go over there, leave a comment and be entered to win one of two copies of her book, Meghan Rose on Stage! published by Standard Publishing, just in time for Christmas! Details of Meghan Rose on Stage! To win a copy (one of two) of Meghan Rose on Stage! leave a comment telling us what Lori's favorite indulgences as a child were (and name one of yours!) Check back here on Saturday for the winners. Hurry! You only have until midnight tomorrow to sign up for the book drawing on this book. And tune in for more books and authors at When I Was Just a Kid--one author is giving away her entire series! When I was just 5 years old, a few weeks before I turned 6, President John F. Kennedy was shot and killed (assassinated) in Texas. All Americans know this story, and anyone my age and older still around can probably tell you what he was doing that day. I remember it. 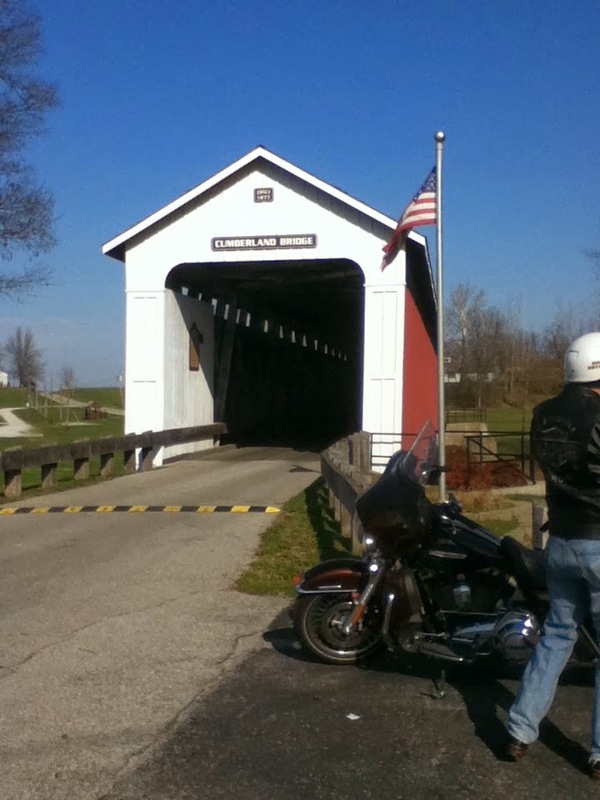 We were living in Arcadia, Indiana, (well, just down the road from Arcadia) on a dirt road in a country farmhouse. (Cows, a pony named Star, and everything country.) My mother was in the living room folding laundry, watching her soap ("As the World Turns," probably) while she did the mindless chore, and a news bulletin rang out--"President Kennedy has been shot." There was a lot of terror and instability for everyone in that report. 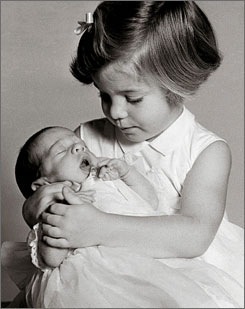 We all have seen John-John's photo, saluting his father as the caisson holding his daddy's flag-draped coffin went by, but mostly, we ignored a little girl named Caroline, President and Mrs. Kennedy's oldest child. I did not realize until recently how close in age we were. I could list a bunch of things, but here's some that I would have never thought about except for this significant birthday we share this year. He was a really nice person, but he pushed me in music. I learned something new every week and progressed quickly. He would make me do various fingerings, transposing, writing music and songs, and even sing while I played my lesson. He adored Neil Diamond, and would send his precious albums home with me, trying to get me to "hear" the different guitar pieces I was assigned. I did just about every song ol' Neil had out during that time. One of his songs was a number called "Sweet Caroline." 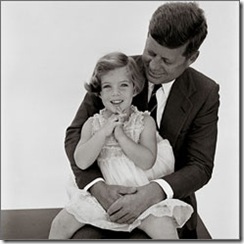 This year Caroline Kennedy turns 50 on November 27,2007. I turn 50 on December 11, 2007. Her life was never the same after that fateful day, just 5 days before her birthday, her dad died and she had to move. I never thought about that before. Her dad had been nearly a 1000 days in the White House, and her last Christmas was there. The next Christmas after her birthday, she had to move. Neil Diamond recently sang "Sweet Caroline" for Caroline--and revealed he had written that song when he saw Caroline seated on a pony as a child. 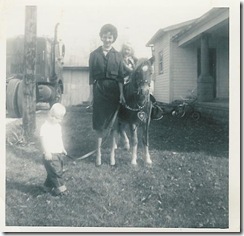 Even though my dad wasn't a United States President, I, too, had a pony(no body guards--I hit the dirt and picked myself up.) It is a strange feeling knowing that at the same age, two little girls who were so close in so many things including age, but so far apart in most ways, are remembering similar memories from two perspectives. I don't really have much else to say about all this, but thought I'd share photos from the lives of two little girls who both turn 50 this year. I thought this must be the best job in the world--even better than being a librarian. As one of these book missionaries, you basically influenced the reader into reading about Jesus or His followers. I prayed as fervently for these people as I did for my missionary aunt, uncle and 3 cousins in Nigeria. I prayed that God would let me be one of these people! And of all the stories my uncle told of being a missionary in Africa (Nigeria during the Biafran war and Ghana)I thought the most amazing one was smuggling Bibles into Communist Russia (before the Iron Curtain fell) to the Christians there. Well, in a way, God answered that childish prayer in many ways. For one, I was a primary grade teacher in Christian schools for many years. I taught kids to read and to pick out books to read.I was the department head to the children's Sunday school and ministry department in my church for years. I taught and ran Vacation Bible School. I read tons to my own kids. Have given away tons of books and money for books. 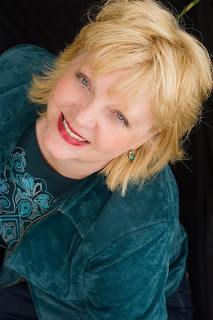 I learned to write for publication, and while I never realized my dream to write for children, I have published many articles and columns and over 500 published book reviews. (I lost track of how many now.) I have been working on many (other authors') fiction manuscripts in the pre-published stage as a book doctor and professional reader, but I've also been doing a feaure called, When I Was Just a Kid on this blog. I've now moved the interviews over to a blog called When I Was Just a Kid with Crystal Laine Miller. 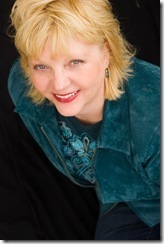 Starting this week I am having a very special set of interviews on When I Was Just a Kid with Crystal Laine Miller. These are the Kids Who Grew Up to Write for Kids. Each one will feature a children's or teen's author, and a couple will be books written for adults who work with kids. For each one, either I or the author will give away one of his or her books. One author's book won't be out until spring, but he's such an interesting guy that I couldn't resist putting him into this line up now. We'll get his book when it comes out. I know there are other children's authors out there whom I didn't get something back from, and if you are one of these people, do email me or leave me a comment and we'll set something up. I love children's books. I know some of you do, too, and you probably have a special child in your life to whom you'd love to give a book this Christmas season. Each day that I feature a children's author, please leave a comment on that blog and an email contact because I will draw one name (in a couple cases, maybe two names) for a book winner. Unfortunately, because shipping costs come from my own pocket and I have three boys in college (and one on the way) I can only accept a winner within the United States. But for now, this is my small way of focusing on the great people who get to write for children--and also to answer my childhood prayer. Check the link above and come back every day as these will go fast and furious. I will set a time limit for each drawing, so check in! And be sure to let all of your friends and moms' groups know, too. My BFF, Chris, way back then, with his sister, Melba, and she is also my friend. BFF stands for "best friend forever" in text messaging lingo, and that would be my husband, Chris. Happy Birthday! This Writer Montage is on You Tube sent to me by a good writer friend. If you are a writer, you will laugh--and cry. Enjoy! I'm still waking up each day this month, and trying to say, "Here I am, Lord, your favorite one," but today I have been thinking about Malachi for some reason. Now, if you are drifting and feeling lethargy in your spiritual life, you turn to the book of Malachi. It's kind of a jolt of reality. You get into self-examining or wondering how God is thinking, there are places to look in the Bible--and Malachi is one of them. His name (Malachi) means "My messenger." Don't get too depressed as you are reading through all that apostasy of the people and admonitions. There is even a part where it talks about the evildoers prospering. They certainly do, but not forever. But there is this one part that is hopeful and makes me feel like I have so many with me. "Then those who feared the Lord talked with each other, and the Lord listened and heard." Pause and just think about this part first. I've listened and not heard before--have you? When I was a first grade teacher my students would walk up to my desk (one-by-one) and do what I called "tattle-telling." It's one of those habits that probably grows into gossip. The main idea is to get the other person into trouble! "Just wait until Mrs. Miller hears this! I'm telling!" and most of the time it isn't something to be heard--it's just plain ol' being mean. It's hard when you are a little kid to know what should be told and what should be "let go." So, when a certain student who was the main tattler (rhymes with rattler) would hit my desk with a vengeance and a gleam in her eye, I'd take it with a grain of salt, most of the time. Maybe I wouldn't "hear" it, depending on what it was. My favorite one was, "He's looking at me! Mrs. Miller, make him stop!" I had lots of answers for that one like, "Well, just don't look back," or "David, pop out those eyeballs right now before you burn a hole through her with those laser looks." Usually, they didn't get the humor because frankly, first graders take everything you say in seriousness and literal language. Remind me to tell you THOSE stories. Ack. "A scroll of remembrance was written in his presence concerning those who feared the Lord and honored His name. 'They will be mine,'says the LORD ALMIGHTY,'in the day when I make up my treasured possession.(Me! You?) I will spare them just as in compassion a man spares his son who serves him.'" Anyway, I had already faced death a few times in real life, but I still thought, "Well, God kept me alive through that, so hey, maybe I'll live a long time." These days I think more seriously about my approaching death and what I'd like to be remembered for. Maybe the best thing that could be said about me is, "She talked with those who feared the Lord, and she honored and feared the Lord. Her name is written on the Lord's scroll of remembrance." I've been reading through these interviews of my 93-year-old grandmother's siblings. She has outlived two husbands and one child (my father,)and her brothers and sisters. It is kind of humbling to think about. But in this little notebook of memories that my dad's cousin wrote down, she stopped to ask them what their favorite hymn was! I was blessed by that. Remembering the old time gospel hymns. I just hope that some of the nostalgia and memories here bless you. And the kicker to that one--who do you remember today who is now gone from this life? What do you remember most about that person? You still can check in here to find old interviews,what is going up over there, but I will remove them from the links at the right here on the Chat 'n' Chew Cafe'. Over there I offer FREE BOOK drawings and you need to check in often as I have a line up of Kids Who Grew Up to Write Books for Kids kicking off the last week in November through December, and you will want to check those out EVERYDAY as the authors and I have teamed up to give away free children's books. Things will be happening faster than a hot flash! Be sure to check back here to chew on tasty morsels of fun dishes, nostalgia,writing news and tips, and visiting friends. Just because you're checking out personalities over there, things won't come to a halt over here. What do you see in the beans? After you find the guy - it's so obvious. 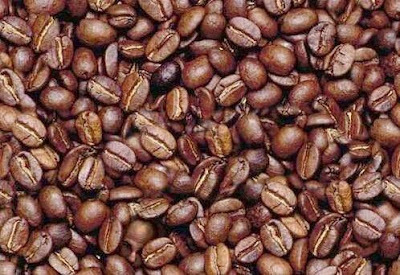 Doctors say that if you find the man in the coffee beans in 3 seconds,your right half of your brain is better developed than most people. If you find the man between 3 seconds and 1 minute, your right half of the brain is developed normally. If you find the man between 1 minute and 3 minutes, then the right half of your brain is functioning slowly and you need to eat more protein.If you have not found the man after 3 minutes, the advice is to look for more of this type of exercise to make that part of the brain stronger, and yes, the man is really there. So--do you see the man? And how fast did you find him? What are you holding onto and carrying just because you think you have to say, "Yes, ok, yeah, I can do that" ?? She had some sort of dream about not throwing out her Tupperware, and saying yes because she wants to help so many in her life. And she had two pages of "To-Do" on college-ruled paper. Things like, "Save the world, run the million-dollar church fundraiser, find the cure for lousy plotlines and characters..."--well, something like that. While Susan doesn't want her Tupperware thrown out, I hang on to the Salad Shooter that my now-dead mother gave to me about 12 years ago. My heirloom Salad Shooter which has never been used (I really thought about using it once.) I mean, shouldn't I be getting rid of some things in my life? Just say no. Yes, sometimes I feel just like Jonah. I TRY to listen to God and do what He wants ME to do. Seriously. I try. But there are times when I end up thrown overboard in a storm and land smack-dab in the stinky, lonely belly of the fish, wanting someone who has me in their belly to just throw me up. (My boys would be proud of a gross description like that. )Do you think tomato juice and vinegar would get that stench off? But I'd be sitting there on the beach, wondering just what happened, and thinking, man, I need a bath and a manicure, and I survived all that for what??? Oh, yeah, I have to go to Ninevah and thankewverrymuch, but I don't want to go to Ninevah. So, if you are saying no,(Learn to Say No--The Hard Way) and God said, "Yeah, I'm serious, Ms.JonahCrystal," and you can take the tough way to Ninevah. Do you see what I mean, what I'm saying here? I have learned to say no, and to say it well, and ask questions later. Not always good. God's purposes never change. He is a gracious and compassionate God--even Jonah knows this. In Jonah (read it--it's a short book!) 4: 1-2: "But Jonah was greatly displeased and became angry. He prayed to the Lord,'O Lord, is this not what I said when I was still at home? That is why I was so quick to flee to Tarshish. I knew that you are a gracious and compassionate God, slow to anger and abounding in love, a God who relents from sending calamity.'" This is kind of comical, if it weren't so serious. Jonah KNEW God was going to give the lowdown dirty Ninevites(they were the worst people ever--really horrible people) a break, and he is fireball mad. He's kind of arrogant, too. He is so sure that he is Ninevah's last hope, that if HE doesn't do it, then it won't get done. We're like that sometimes, I think. We think "If I won't do it, it won't get done." And sometimes that isn't true, but sometimes it is true. God has His purposes and He expects you to be right in the middle of His plans. I just hope that when I finally get to Ninevah that my joy isn't clouded because I didn't want to do that job (because you know how gracious and compassionate God is!) Sometimes when God is saving the world, He's also giving you(ok, I mean me) an attitude adjustment. Ok, write that stinking story. Start on it today.I'm God's favorite one and He is sending me a Big Fishy Stomach-Acid Bath, if I don't watch it and I keep putting it off. How about you? What Big Fish is bearing down on you? I continue my quest this month to find how God loves me and that I am His favorite one as per Rachel Hauck's favorite one challenge. I admit to you that this makes me laugh some days, like Sarah in Genesis laughed incredulously when she found she'd have a baby of promise (Isaac which means laughter!) at age 90. I will be 50 years old and let me say right up front--this having a baby at 90 is one I would laugh (that would be hysterically) at 50, much less 90. Sheesh. But I've had four boys, so unlike Sarah, I'm not longing for my own child like she was, ok? I am sure she prayed for a child for years, before she finally gave up. I have prayed for things and people, and I have to admit that I sometimes give up. But maybe I'm laughing like Sarah did over some promise that God gave to me as a kid? What if? It does have me thinking. Who prays for you? I don't know of anyone who regularly, consistently prays for me, but I do have a core of friends who pray on a regular basis, especially if I ask them to. I pray for you, if you are reading this blog, or if you have consented to an interview with me on this blog or my When I Was Just a Kid blog. 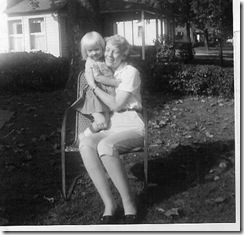 When my mother was alive, she prayed for me. When she died, I felt a severe loss--who would pray for me now? Can those who have died continue to pray for us? I don't know. This is a mystery. But Jesus who died and then was raised from the dead and lives on today, prayed for me way back centuries ago and it is recorded in the Bible. My prayer is not for them alone. I pray also for those who will believe in me through their message that all of them may be one, Father, just as you are in me and I am in you. May they also be in us so that the world may believe that you have sent me. Right after this intense praying, Jesus was arrested. He knew he was going to be arrested. He knew he was going to die a horrific death--but he knew he would be raised from the dead, get to talk to his people again before he went to stay in heaven with God--like he is today. It was a great day to me to know that Jesus was thinking of me even back then. I pray for several people, personally and by name, each day. Sometimes I don't even know why I am praying for them. 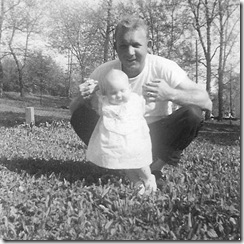 When I was a just a kid, I used to pray for my dad, mom, brother and all my relatives in Tennessee. I'd pray for my aunt, uncle and cousins in the mission field in Africa (at that time they were in Nigeria during the war.) I didn't even know what to pray about--I just put them in front of God by name and asked to keep them in Him. Mostly I worried about dying and safety. I worry less about dying, but I still worry about living. But except for my mother, I wasn't aware of anyone who prayed for me and what I was doing. Maybe my teachers did in grades 1-5. After I left that school, I went to a public school and my teacher was a Jewish man. I don't think he prayed for me, but who knows? I figure my mother prayed for him because she was wise about these sorts of things. She cared deeply about people. One of my favorite places in the Bible (well, ok, I always say this every time I bring up a story...ha) is in Nehemiah. He got this idea (after praying a bunch) to build up the wall again in Jerusalem. He was in the citadel at Susa and he was visited by his brothers from Judah. They talked about what a disgrace it was that back in Jerusalem everything was in shambles. Nehemiah was so upset, he sat down and wept for days, not eating and just praying to God. Now, I don't know about you, but yes, I get upset when things in Christiandom/my world get all messed up and people aren't taking care of themselves or watching things closely enough in their lives. But sit down and cry and fast and pray solidly? It isn't usually my practice. It is something to think about and maybe act upon. Lately I have been struggling over stories I've written in the past, ones I wish to write in the future, and want to submit to publishers. It has come across my mind that I haven't been writing about the things that break my heart any more--like Nehemiah got all passionate and built his wall. It was obviously a passion for him. Do my passions show? Michelle left a message--just one person, but I do listen to such comments, especially encouraging ones--and said she liked it when I wrote about my own memories. My boys have said this to me, as well. I took that seriously, Michelle. Maybe God gives us certain things in our lives and we're supposed to do something about them somehow? The stories that I still think about that I've written are these stories about these kids (which were mostly my own memories and stories.) Well, I put those in a drawer and didn't know what to do with them because no one wants children's stories. But maybe I'm supposed to put them into another form? I'm a book doctor and have fixed all kinds of manuscripts(sci fi, fantasy, romance, suspense, women's fiction, kids' stories...) I read manuscripts (and have one on my desk today--romantic suspense--got to get it read and back in the mail...)so why can't I fix myself? I guess God is still working on that part. Maybe prayers for me a long time ago are being answered now. I wouldn't have thought of any of this, if I hadn't been made aware of some things in the last month, one being Rachel Hauck's challenge for me to personally explore how God thinks about me all the time. And just like Nehemiah's brothers coming to him to tell him about the shambles back home, awakening his desires to work on those things, maybe I am being awakened now. It's a thought and I try to hang on to those serious thoughts, since most of the time I'm cynical and laugh my head off like Sarah. 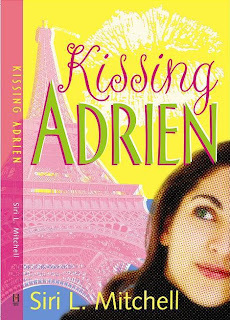 Go HERE to read about author Siri Mitchell's childhood and to enter a comment (U.S. addresses only, sorry) to win her book, Kissing Adrien to be drawn November 17th, 2007. I don't really remember where I got this, but I wrote it into the margins of my Bible. It's called the Romans Road to Christ. It was the very first time (even after much study and reading the Bible through) that I understood Paul as a person and actually liked him. Romans became a touchstone in my life. I finally understood that Paul's letter to the Christians in Rome is actually a letter from God to ME (and you.) It was written around 58/59 A.D. in Corinth, perhaps at the home of Gaius. 1. Romans 3:23 "...for all have sinned and fall short of the glory of God." 2. Romans 6:23 "For the wages of sin is death, but the gift of God is eternal life in Christ Jesus our Lord." 3. Romans 5:8 "But God demonstrates his own love for us in this: While we were sinners, Christ died for us." 4. Romans 10:9 "That if you confess with your mouth, 'Jesus is Lord,' and believe in your heart that God raised him from the dead, you will be saved." If God could pick me out to save, he's probably calling out to you, too, or you wouldn't be reading this at this time. If you are already saved, then you know for a fact that he loves you as if you were his only child. I guarantold you. TB hospital all those years, and I had to get used to her again, and also not having my grandparents and Aunt Linda there all the time. 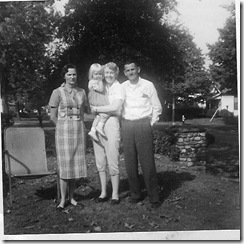 My grandparents lived in Tennessee and my parents were in Indiana. I felt alone and I threatened my mom everyday, testing to see if she really wanted me. I called my grandparents, "Mama and Daddy" and my mother was "Mama Lin." (What I had been told to call my mother. I don't remember what I called my Dad because he was home only on weekends, being a long haul trucker hauling automobile parts.) Every single day I faced off my poor mother who had lived for the day to get me back. I constantly tested the parameters of our relationship, testing if she loved me enough. She was very brave, however, and one day I was threatening her, telling her I was going back to MY Mama and MY Daddy if she wouldn't let me take another bath that day (I liked to play in water.) I dug my toe into the sand and dared her. So, Mama Lin walked into my bedroom, throwing a suitcase on the bed and said, "All right. Let's pack up your things and I'll drive you back to Tennessee right now. You can go live with your Mama and Daddy, if that is what you really want.I love you. I love you enough to give you back to them." She proceeded to carefully fold and put clothes into the suitcase. I watched her with growing alarm and panic--she wasn't going to let me have another bath, she was going to take me back to them! And in my 4-year-old mind I was thinking, I have waited my whole life to be with this woman they told me so much about and now I'm going to really lose her! And while I loved them, I wanted to be with my own mother and daddy more. I took out some of the clothes, and earnestly tried to convince her that she had gone mad,"Mama Lin, you can't drive." How I came up with that and knew that was that, I don't remember. But I sure didn't bring up going back to live with MY Mama and My Daddy, anymore. 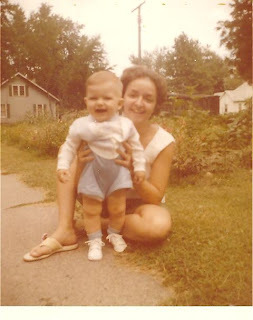 I finally was with the woman who was My very own Mama, and I somehow knew I wanted to stay. I could tell she loved me more deeply than anyone else on earth, even if my family in Tennessee loved me, too. I never again brought up going back to "mama and daddy's" for good. 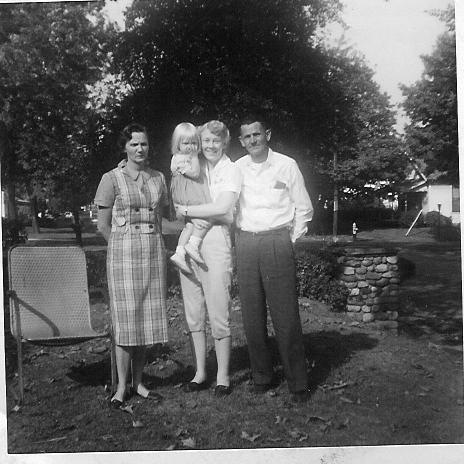 It wasn't long after that where I asked why I had two mamas and two daddies, and she explained that the people I called Mama and Daddy were actually my grandparents. When I addressed my grandfather as "Granddaddy," after that, he wouldn't speak to me for two days. It was hard, but I was persistent because I loved my Granddaddy more than anyone else on earth outside of my parents. I pursued him constantly, dogging his every step, talking incessantly to him. He couldn't resist me. 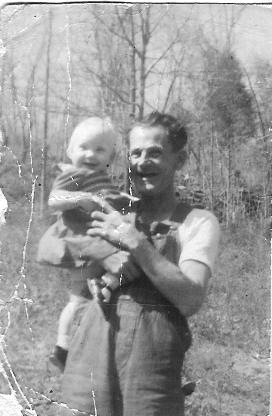 I was the child he carried with him to chop wood, taking with us my diapers and bottles back when I lived with them.He adored me, no matter what I called him and finally gave in. So, at a young age I knew what it was like to have people to desperately love me, and to sacrifice for me, too. It was easy for me to see at a young age how God could love me and want me, too, but I had to love Him back and pursue Him, and call out to Him. I not only accepted the love, but I had to want a relationship and love back, just as I did with my mother and my granddaddy. 1. I was born on Indiana's birthday near the state capitol. After a blizzard. When it quit snowing my doctor went outside the hospital to hunt rabbits while my mom labored and told the nurse to yell at him when it was time. I don't know if he got a rabbit. Mom got me.That hospital is now in a rapidly growing, upscale community. 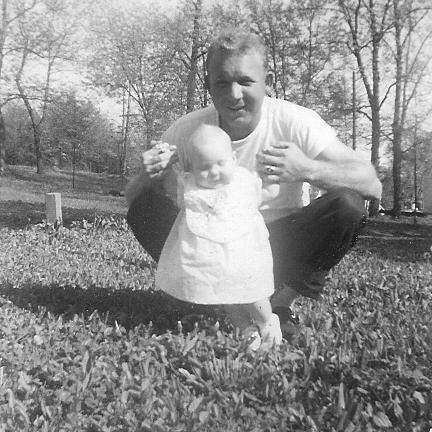 My parents are now both dead and I miss them.They were married 46 years when mom died, and dad died two years after mom. 2. I spent my babyhood with my grandparents, and Aunt Linda (and the rest of my dad's family) in Tennessee because my mother had TB and was sent to a TB hospital in Ft. Wayne and my dad was a long haul semi-truck driver. 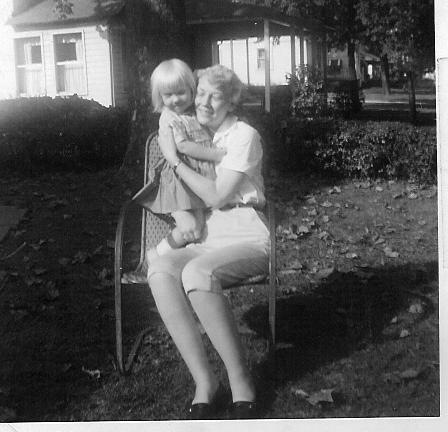 They were sure she would die (her mother had,) but she made my grandmother(now 93) promise that she would give me back to her when she came out of the hospital. I think it was for me that my mom determined to live for while she struggled for life 3 years and through numerous lung surgeries. She came out with only one lobe of one lung, but went on to have my brother and live until she was 64 and she even played tennis with me. 3. 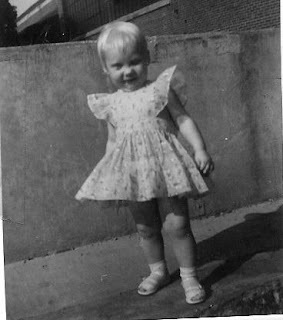 I wanted to be a dancer like Ginger Rogers and Shirley Temple. I wasn't allowed to take dance lessons. I took 2 dance classes in college. My pediatrician told me I was very limber and should take dance classes. I would dream about it. My junior high P.E. teacher said I was gifted at dance and let me help her with her class during my study hall. She (Susie Engle) was my inspiration for being a P.E. teacher. 4. I did dance routines in high school at half-time of ballgames, in parades and at the State Fair with the pom pon corp which performed with the high school band. I was called an Argyllette and my favorite routines involved '50s costumes. I borrowed my neighbor Lee Leckron's letter sweater for each '50s show we did. 5. I was Best Actress of my high school my senior year after playing a multitude of parts including "Hot Lips Houlihan" in M*A*S*H*. I was on the speech team. 6. I won a scholarship in journalism based on my high school newspaper writing and pursued that for 3 semesters in college. 7. I let my parents and high school counselors talk me into being an elementary teacher after being a journalism student and publishing articles in newspapers.I often wished I had done something else, but it did allow me to get a job as a preschool teacher while going to college, and I loved doing that. 8. I loved art and my high school art teacher wanted me to pursue an art career. I was art editor of my high school newspaper and had a cartoon strip, too. 9. Portraits that I did in art class were displayed at Central Administration. 10. I took 3 art classes in college. Loved them. 11. I loved sports and wanted to be a sports reporter. I was sports editor of my high school newspaper. 12. I played on the high school basketball and track teams. I was a 98-pound shot-putter who putted an 8-pound iron ball, ran the mile relay, 1/2 mile run and threw the softball. 13. I coached girls basketball and track and sponsored cheerleaders when I got my teaching jobs.One of my teams were city champions. One of my girls went on to play college basketball and was a valuable player. 14. I won my first teaching job over 135 applicants, 7 days after school had started. It was 6th grade. Some of the boys were bigger than I was. One of the dads( of my student) threatened me when I was alone in the building over a misunderstanding. I would have died for sins I did not commit! I talked him out of killing me and won his respect. I learned not to stay in the building alone on the second floor! 15. I loved reading and worked in the high school library for 3 years. 16. I took every English course my high school offered. We even had The Bible as Literature. One high school English teacher in my freshman year had one of my poems published. I won the English medal my senior year. My high school English teachers, however, do not remember me, but remember my husband! 17. I lost 10 pounds the year I took geometry because I had lunch in the middle of the class and would work on geometry instead of eating. 18. I lost 15 more pounds my freshman year of college because I was in physical education major classes and took conditioning (I also skipped meals.) I was a P.E. minor. That was the year I also worked in the college cafeteria as a dessert girl and ticket-checker. 19. 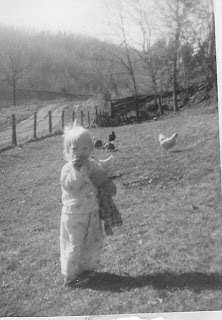 I loved Tennessee and my family there, and would cry half the way back to Indiana after a visit. 20. I went to a Seventh Day Adventist(my mother's religion) elementary school for my first 5 years. I asked Jesus into my heart when I was in first grade, but they told me I was "too young" to know what I was doing. I wasn't too young. They refused to baptize me until I was older.I preached a sermon on Joseph in fifth grade in church when the kids took over the service one Saturday. 21. I walked to a Sunday Christian church by myself when I was 12 and from then on worshipped on Sunday and they allowed me to be baptized. My mentor was my pastor who went on to work at Taylor University. I still keep in touch with him and his wife. They influenced my life in the best way possible. 23. I read Gone with the Wind by Margaret Mitchell my 13th summer. Loved it. 24. I read To Kill a Mockingbird by Harper Lee my 13th summer. I read it again 22 more times over the course of my teens and early 20s. I was in love with Atticus. My favorite part was where Scout would read with Atticus, and he told her they could keep it a secret from her teacher when the teacher forbade Scout to continue the practice. I still read the newspaper every day, like I did with my mother. 25. I only liked my elementary education classes so-so, but was good at teaching. However, I loved my children's literature class and asked my professor if she thought it was possible for me to be a children's author. She said yes. 26. I have yet, if ever, to be a children's author, but love children's books. 27. I taught elementary (1st, 1st/2nd combined, 5th, 6th) and enjoyed teaching P.E. and pre-kindergarten, too, in my 10 years as a professional teacher in schools. 28. I was a book reviewer, had a column, and published in excess of 500 reviews. Loved it. I got to read books for free. Still do occasional reviews for a magazine. 29. I have collected over 100 cookbooks,rarely use them, but love reading them. 30. I had a "boyfriend" every year of elementary, junior high and high school. Different ones. They were just friends, though. 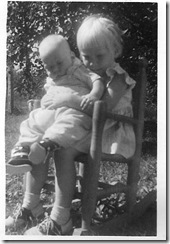 My best friend from childhood was my cousin, "Mary Beth." Her real name was Mary Elizabeth. We lived in different towns, but spent a lot of weekends and summers together. I wasn't "in love" until college and he was the one I married, after dating him on and off for 5 years. I'm still married to him and we have 4 sons. 31. I played churchyard baseball every day of the summer, weather permitting, with neighbor kids when I turned 12 years old. My dad made me quit when I was 14 years old, because he noticed I was the only girl playing. I was so mad, I could barely stand him for a long time. 32. I loved to ride my bike. I rode 50 miles one time with a group, and got heatstroke and a severe, blistering burn(and a badge for my Pathfinders group.) My bike was stolen when I was 8 years old, but my dad bought me a new one. 33. My family loved to fish, but I didn't really like it. I loved the river, however, and observing, hiking along it. 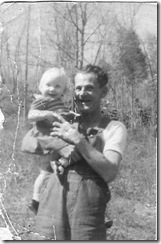 We primitive camped and fished for three weeks every summer along the Tennessee River on my dad's Uncle Pat's lot. Once it rained so much, we barely made it out before it flooded the campground. 34. I can bait my own hook. 35. I survived the Palm Sunday tornado that killed many people, destroyed the town,(and other towns) and left us without electricity for over a week. I still remember the sound of glass windows imploding and my dad yelling to cover our eyes while he held the curtains shut in the room we were in. 36. I was in a head-on collision where my Suburban was totaled. I wasn't. I still have a scar under my lip on my left side(with a "lump.") I had glass in my eyelashes, nose, mouth. I felt my legs go up under the brakes and remember thinking, "My legs are going to break." Miraculously, they didn't. 37. I was caught in Denver International Airport in a blizzard for 24 hours returning from a writer's conference in California. We were one of only 5 per cent of planes that got out the next evening. The alarms went off and on all night long. I didn't sleep. When I got home, my husband finally told me about my son (who just got his license) having a wreck the day I was in DIA. He was ok.The sun was shining and it was in the 70s in Indiana. 38. I have been shot at (purposely) and wasn't hit. The bullet lodged in the wall above my head. I talked him out of killing everyone and hid the gun. On Monday I went to school like nothing happened. This scene repeated many times. Sometimes on Sunday morning I could barely keep my eyes open in church from staying awake all night. 40. I get migraines. (The kind that make you want to die and you throw up.) A ton of my mother's relatives and my mother got them, too. Three mg. of melatonin each night seems to keep them at bay. I have a $25. prescription pill for when it doesn't. 41. I got a dog badge for memorizing and telling the attributes of over 50 breeds of dogs. I rescued many dogs and a cat or two because we lived in the country and many people dumped pets by our house. 42. I have had several dogs of my own and read a lot of dog stories as a kid, like Old Yeller. I love the movie, My Dog Skip that I saw with our kids and my friend, Sue and her kids. 43. I am of Swedish, Norwegian, English, Irish, Scotch and Cherokee descent. 44. 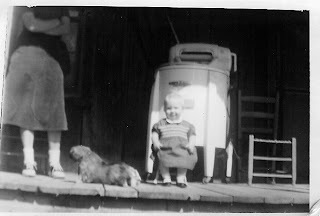 I am a second generation American on my mother's side, who was Swedish and Norwegian and from Minnesota. My dad was from Tennessee and from a family who had lived in this country for generations, some on the same land that is still in our family with a graveyard of family dating back to the 1700s. They met in Indiana. I love stories of my family. 45. I won third place in an art contest in 6th grade where my teacher argued with his artist sister(the other judge) that my drawing was "too real" to be art. He didn't want to give me a prize at all; she wanted to give me first place. My prize was a compromise and he told me about it. It was a drawing of a man walking to his cabin with an ax over his shoulder, next to a lake with pine trees. I can still see it in my mind's eye. The picture is long gone. I still would like a cabin by a lake. 46. I competed in trapshooting tournaments around the country. I own my own Perazzi competition grade shotgun. It has a single barrel and double barrels that I can interchange. 47. I have owned 4 different competition grade shotguns: Ljutic, Kreighoff and 2 Perazzis. 48. I love the Italian Perazzi gunmakers who come to America every summer for the Grand American. I just look at them, look at their guns and smell the great food they are cooking in their building. I have talked to them a couple times about my gun. 49. I once talked to a master German gunmaker on the phone about my shotgun, which was misfiring. He fixed it. He was very nice and actually listened to me. 50. I was trained by one of the top champions in trapshooting in the world, Kay Ohye. He believed in me as a shooter. Competition trapshooting takes a lot of time and money. I've competed in Arizona, Georgia, Michigan, Ohio, Tennessee and with the top competitors in the world, including my husband's family members. 51. 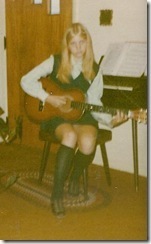 I learned to play the guitar when I was 11. 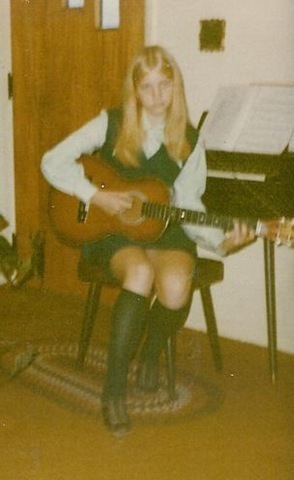 My teacher, who later went to Nashville to try and be a songwriter, made me write my own songs and sing while playing my guitar. 52. I learned a lot of Neil Diamond songs because my guitar teacher loved Neil Diamond. His dog, a very large St. Bernard, loved me and would slobber on my arm. My guitar teacher's wife would bring me a towel. 53. I took guitar back up when I was 45 but haven't played lately. 54. I've played and sang with a band. Our band has been paid money to play. 55. I'm not that good, but my family are all good at music and singing. My sons have their own band, too. 56. My Tennessee family did not like my name Crystal and I really wasn't called Crystal until I married Chris over 25 years ago. They called me Crissy or Cris. I spelled my name "Chris" when I went to public school because I thought it was cool and my chance to be myself. 57. I love Southern food. 58. I also love Italian food. 59. I love to eat avocados,tomatoes, almonds, Herdez salsa, anything lime-flavored and Lay's Potato Chips. My favorite flavor is lime--anything with lime. I prefer salty and sour over sweet, but I love creme brulee dessert. I like coffee black, and did not drink it until I was 28 years old. I love Real Coca-Cola and will drink a Coke anytime! I might drink a diet Lime Coke, but hate Diet anything. I also love raspberry iced tea, especially Olive Garden's. Love to eat at all kinds of restaurants and talk to the chefs. My favorite thing to do is go out to eat with my husband, and our friends, Gary and Sue. I also love going with our boys, who make me laugh. 60. I once considered being a vegetarian like my mother's family, but I loved ham, bacon, sausage and hamburgers too much. 61. My favorite books as an elementary student were these childhood biographical fiction books and I have never seen them again as an adult. They were about historical people as children. My second favorite books were Little House on the Prairie books. However, my favorite stories, hands-down, were stories my mother told while I sat eating or drawing at the kitchen table. 62. I sketched pictures all the time as a child. It was my favorite thing to do. I still sometimes sketch in my margins while taking notes. 63. My other favorite thing to do was play with paper dolls and with my Johnny and Jane West dolls and play set ranch with horses.I have a paper doll with my face on it from childhood that my mother got for me.I still have a Tiny Golden Library. 64. My other favorite thing to do was play "pioneer people" by the creek, and direct everyone, telling the story as we played, which amazingly, they did as I told them. And we built bridges and shacks with Phil's boards and nails that his dad, Lee, gave to us. Phil's dad was a brick mason. 65. I wasn't allowed to read Nancy Drew (and in fact had never heard of her!) until I was in junior high and I read every one of them in the junior high library during study hall. I think I read all of the Hardy Boys then, too. 66. My sixth grade teacher read to us Edgar Allan Poe stories and I was totally won over. I don't remember any other stories my teacher read, although he read to us every day after lunch recess. 67. The first book I bought through Scholastic Book Club in 6th grade (the year I went to public school) was My Life and Hard Times by James Thurber. I still have that book. I thought he was hysterically funny. No one else got it--either the book or his humor. 68. I also loved anything written by Mark Twain. I did dozens of reports on him, including a paper in college. I still have a notebook I did on him. 69. I was in college when I first heard of C.S. Lewis. My cousin, Darrol, gave me a set of his outer space trilogy. I didn't know that I loved fantasy and science fiction until then. 70. I worked in the high school library for three years and read almost everything in there. I particularly remember East of Eden by John Steinbeck. James Dean who was from our hometown became famous in the movie based on that book. I read the book before I saw the movie. 71. I love any story written about Savannah, Georgia or the South, and any Native American story, preferably historical. 72. I loved James Michener books, particularly Centennial. 73. I collected Will Rogers' columns that were being rerun in the newspaper when I was a teen, and Peanuts comic strips. I have a few of them still in a box. I also occasionally clipped an Erma Bombeck column and anything that interested me. 74. I collected wild plant seeds for a badge in Pathfinders Club and had them in prescription bottles(over 50) my mother gave to me for that purpose. I still have these, too, in a shoe box. 75. My favorite TV show as a kid was Daniel Boone with Fess Parker. My second favorite show was Medical Center with Chad Everett.I was pretty fond of Dr. Kildare, too. I liked country music shows, too. And I adored movies. 76. My grandfather showed us an ancient Native American graveyard in the backwoods of Tennessee not far from the family homestead. This began a lifelong fascination with anything Native American (his mother was Cherokee.) I did reports in history classes and even did a presentation on their plight and struggle, read Bury My Heart at Wounded Knee and loved the movie, A Man Called Horse in high school. I have several arrowheads we found in a field. 77. I went on a trip for nearly a month after high school graduation through the upper West (South Dakota, Montana, Wyoming, a toe dip into Canada) with my high school chemistry teacher/Campus Life sponsor, his wife, and my soon-to-be college roommate, Linda. I loved every minute of it. I also was getting over a broken heart during that time, as I had broken up with my unfaithful boyfriend whom I found out was lying to me about everything, right before we left. 78. I fell in love with my husband in high school, but he only asked me out a couple times. Once was to our junior prom. 79. I saw him off and on during college--he went to one state college and I went to another. 80. I got a job in one town as a teacher, and he went to med school. 81. He asked me to marry him and I did right before he started a summer internship in a hospital. We went out to eat that night after our small church wedding, but he had to be at work on Monday. We didn't have a honeymoon. 82. He gave me a map of Indianapolis, and told me he didn't have time to show me how to get around. 83. I had never driven in a big city. I spent a lot of time praying and sitting alongside the road trying to figure out where I was. I didn't get my Dad's sense of direction. I did find my way because I always managed to find my way back home. I had three different teaching jobs at three different schools in that time. I lived a couple blocks from the 500 racetrack and once Little Al Unser held a door for me. 84. I once had to stop one night on I-465 in the dark,in pouring-down rain, to wire up my half-dragging exhaust system. I did this while semi-trucks blazed by, spraying me, as I laid on my back under my car, twisting a coat hangar around it, crying and praying. The repair guy said I did such a good job, it could've lasted a long time. 85. Two of my students, at two different schools, were murdered by family members. I was devastated and didn't want to return to teaching, both times. 86. I did teach again--I taught P.E. at a Christian school for grades K-8 and loved it, about 9 years later in another town. 87. I was elected as a Christian school board member and served five years before moving away. Loved my position and at one point I was the only female on a 9-member board. I served as education, curriculum and vice chairman, and hired teachers. 88. I also went many years to Bible Study Fellowship and became a discussion leader. Loved my groups and prayed for them every day. 89. I also served as editor to the Psi Iota Xi chapter newsletter and put out over one hundred newsletters each month, designed on my first computer. I lost many a completed newsletter before figuring out how to save and not delete it. I probably started getting my first gray hairs over that computer. I learned everything about computers and word processing by the seat of my pants. 90. I was children's department director of my church and had over 100 children under my direction and many teachers. Loved it. I directed VBS, too, at another church. I designed/wrote children's church curriculum. 91. I wrote my first paid published article because I was upset at how under-appreciated Christian classroom day school teachers were. I called them missionaries in our own backyard. 92. I didn't write for publication again until I moved here. I joined an online Christian writers group and met people like Sandy Brooks, Terry Whalin, Wendy Lawton, Bonnie Bruno and from there my community grew. My first online critique group still is together and we've come a long way. We no longer critique much, but pray, support and encourage each other. I now work on manuscripts and have worked for literary agents, editors and authors. My first successful author was Miles Owens who wrote Daughter of Prophecy. I have never met him in person and he was in that first online Christian group. 93. I wrote a book review column for over 3 years before quitting to concentrate on fiction. I still do book reviews for Church Libraries magazine on assignment. I am attempting to write a novel, but I keep going back to my voice in my children's stories I wrote several years ago and am doing poorly with my own goals. 95. I used to love to write letters and once made it my mission to write encouraging letters to people. I once was asked to write letters to prisoners for our Angel Tree project at church, and to write letters for those participating in the Walk to Emmaus. People told me they loved to get letters from me. 96. 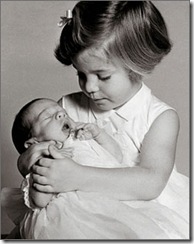 I became a mother for the first time at age 27 to a boy. I turned 28 before he turned one year old. I had his brother 20 months after he was born, then had a third son 24 months later. I miscarried our fourth child, but had our fifth child 11 months after that child died. We named our last son just "Max'--short for the Maximum number of Miller boys we would have. He tells everyone he is Just Max. 97. I love newborn babies. I loved working with preschoolers and pre-kindergarteners/kindergarteners. My boys are the best boys in the world. 98. I love the outdoors and am outside every single day, no matter what the weather is. My favorite season is autumn. 99. I am passionate about reading, and taught reading, which was a joy to me. 100. My boys and husband are my best friends and encourage me to write about my life because they would read that. I wrote and filled several journals in high school, which I burned when I left my parents' home. Sometimes I wish I had kept them to see who I really was back then, instead of just remembering now.